Every time I make you, you absolutely delicious pile of fluffy grains, the people I am serving sigh with satisfaction and exclaim over how good you are. They tell me that they will make Green Rice for themselves just as soon as I give them the recipe. You are so tasty and so healthy that everyone wants the recipe, did you know that? 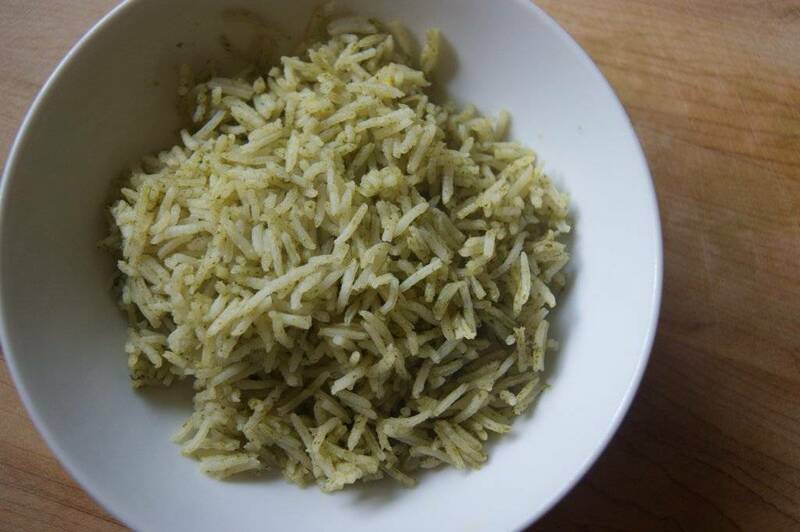 So why is it, Green Rice, that when I decide to blog about you, this happens: your savoury and delicious high notes disappear under a disappointing lack of vibrant colour? How am I supposed to show you off with tantalizing food photography when you look kind of drab? Maybe it is your Mexican heritage. You only shine with vibrancy on a festive table during a sun-drenched Mexican holiday. You love to be served alongside deep red salsas and meaty stews bursting with flavour. You are not impressed when I serve you with the baked Easter Ham (although you taste SO GOOD with Easter Ham) or with pan-seared salmon or simple grilled pork chops. You must especially hate it when I serve you with plain old sunny-side-up eggs. Well, I apologize, Green Rice. You are just so tasty that I make your recipe often, and not always with Mexican food. You are good with everything. Your mingling of spinach and herbs makes for a mysteriously delicious and deceptively simple side dish to serve with many kinds of meals, not just the festive Mexican ones. So, if you don’t always look super bright green, you always, always taste of springtime and celebrations and that comforting rice dish my Granny used to make. 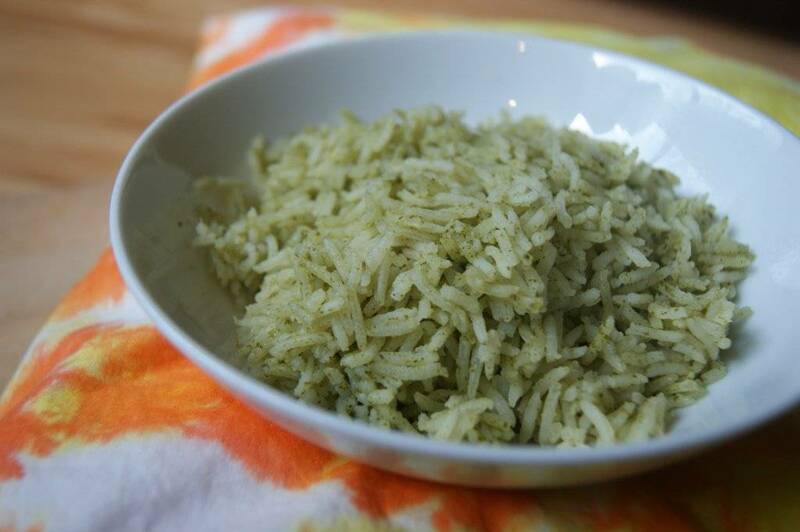 I really don’t know how you do it, Green Rice – how you look so plain but taste SO good. 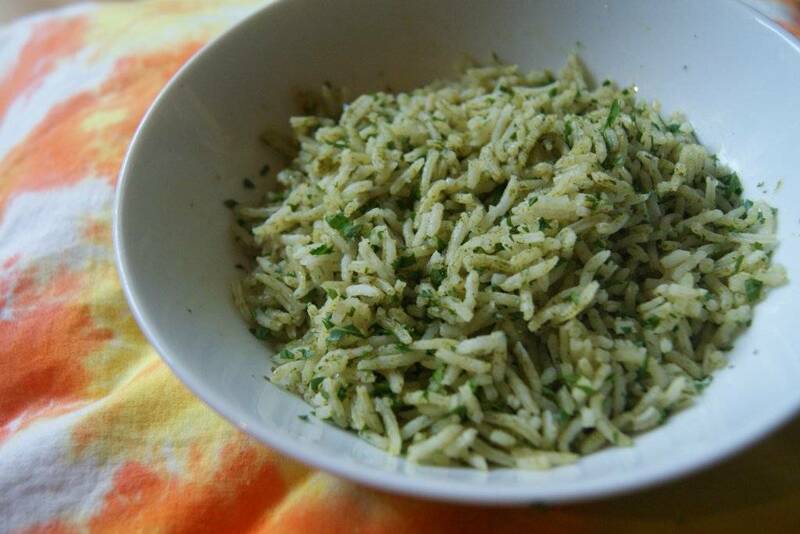 This rice is generally served only for festive holiday occasions, but it is so delicious and refreshing that I love to eat it with any meal, Mexican or other. 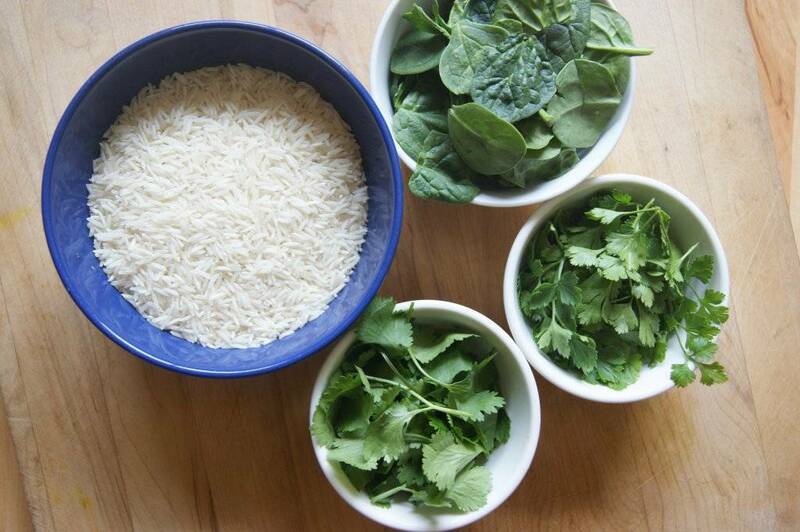 Tip: Make sure to pack the herb and spinach leaves while measuring, but don’t pack them too tightly. Get out a medium-sized pot with a heavy bottom and a tight-fitting lid. Place over medium-high heat. Add oil and swirl to coat bottom. Add the onion and saute until onion is translucent and fully cooked. Add garlic and stir for 10 to 20 seconds. 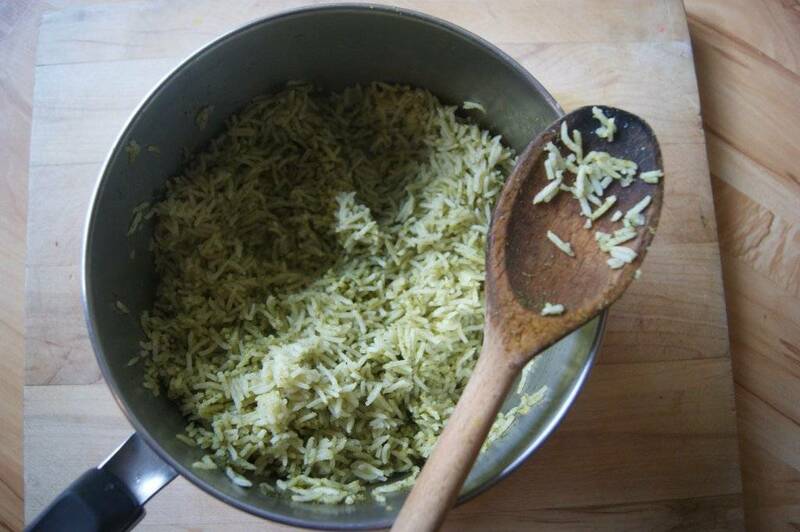 Add rice, turn heat to medium-low, and continue to sauté for 2 to 3 minutes, until rice is starting to get opaque in spots. Meanwhile, place the spinach, parsley and cilantro in a blender. Add the salt and the chicken broth. Blend until vegetables are completely pureed. When the rice is ready, add the entire contents of the blender to the pot. Stir to mix everything evenly. Turn heat to high and bring to a boil. Turn the heat down to the lowest possible setting, stir the rice again a few time to distribute the heat evenly, cover the pot, and let cook, undisturbed, for 18 to 20 minutes. Remove from heat and let sit, covered, for 10 minutes. Remove the lid, fluff with a fork, and serve.